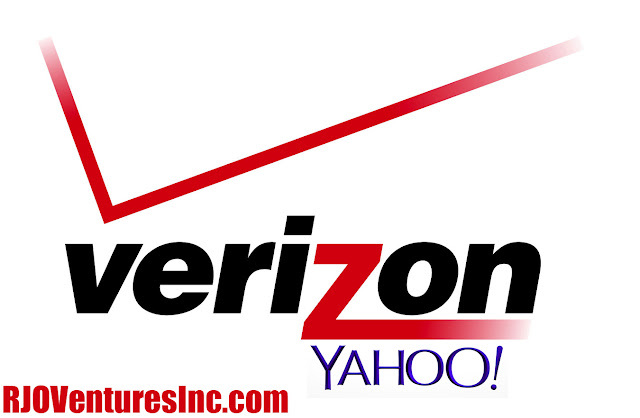 Verizon acquires Yahoo! for $4.8 billion. 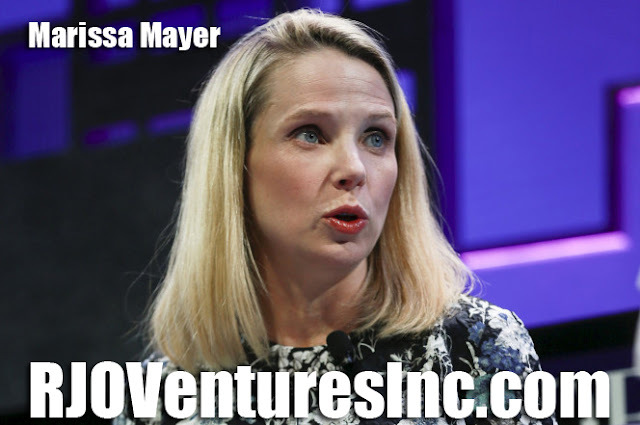 Featured @ RJO Ventures, Inc.
Yahoo is poised to sell its core internet business to Verizon Communications for $4.8 billion. In acquiring Yahoo, which it will merge with its AOL operation, Verizon beat out rival bidders including Dan Gilbert, founder of Quicken Loans, whose bid had been backed by billionaire Warren Buffett. The New York-based communications conglomerate won’t be buying Yahoo’s 3,000 technology patents, which could be worth more than $1 billion and are being auctioned off in a separate process, sources said. Nor is Verizon buying Yahoo’s stake in Yahoo Japan or its equity chunk of China-based Alibaba. Headed by former Google exec Tim Armstrong, AOL is likewise aiming for Yahoo’s advertising tech tools, as well as its search engine and e-mail service. Armstrong, who had tried and failed to convince Marissa Mayer to buy AOL in 2014 before selling to Verizon, will create the third-largest internet advertiser with the Yahoo deal — albeit far behind Google and Facebook, which together control more than half of the online advertising market, according to eMarketer. AOL and Yahoo account for just 3.4 percent and 1.8 percent, respectively, of the $69 billion niche, eMarketer said. Windows 10 Anniversary Update Set for August 2016. 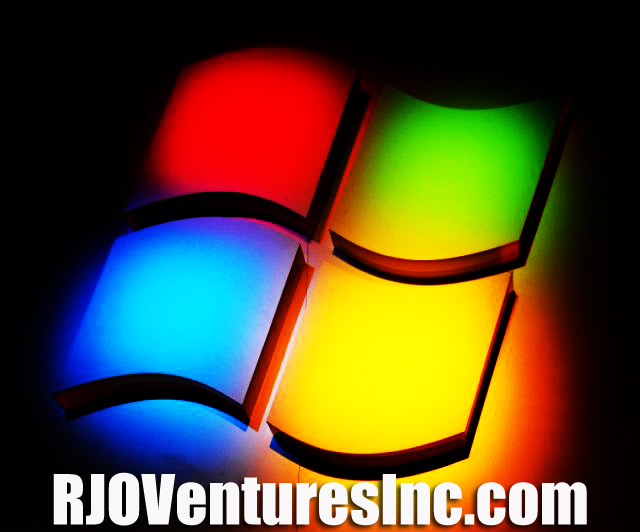 Featured at RJO Ventures, Inc. (www.RJOVenturesInc.com). Informational Use Only. Microsoft announced that it will mark the one-year anniversary of Windows 10 with a major update to the software, powering more than 350 million computing devices. “The Anniversary Update will help people be more productive, stay safer online and, of course, have fun,” Windows and Devices Group corporate vice president Yusuf Mehdi said in a blog post. The Windows 10 update set for release on August 2 promised improved security and enhanced capabilities for the Microsoft Edge browser. • Better security. According to Microsoft, there are 250 million online threats posed on any given day. While Microsoft will tell you that Windows 10 is already the most secure version of Windows ever, the company is beefing up security in the update just the same. • Advanced Inking features. Though you’ll need hardware that supports the use of a digital stylus, the Anniversary edition of Windows is said to improve the experience of writing with such a digital instrument. The so-called Windows Ink workspace is a canvas for everything ink-related. Digital ink features include sticky notes, a whiteboard doodling area and a quick link to the Windows Store for ink-powered apps, several from third-party developers. • A more power-efficient Edge browser. Microsoft claims that Edge will consume less power. You’ll also be able to personalize the browser with “extensions” such as Pinterst’s “Pin It Button” and Amazon Assistant. These and others will be available in the Windows Store. • Gaming. According to Microsoft, 9 billion hours have been devoted to gameplay on Windows 10 devices. With the Anniversary update and the Xbox Play Anywhere program, you can buy a game one time and then freely play it on your Windows 10 PC and Xbox One, sharing saved games and achievements across the devices. On Xbox One, you’ll be able to summon Cortana help you find new games, see what pals are doing, and turn on your console with a “Hey Cortana, Xbox On” command. Meantime as part of a promotion that started Wednesday and runs through Aug. 14, students can save $300 when they purchase an Xbox One and Microsoft Surface at Microsoft Stores. • Education. Microsoft says more than 90% of schools in the U.S. use shared devices, and nearly half of all teachers serve as their own tech support in the classroom. A new “Set up School PCs” app for Windows 10 aims to simplify the process for educators.